Fill your life with more joy, peace, and power! 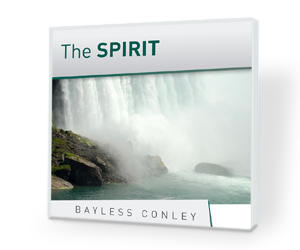 We’d love to send you Bayless Conley’s 3-part CD series, The Spirit, to thank you for your gift today. We’ll send you The Spirit CD series as thanks for your donation today – so request your copy below when you give. Thank you for connecting people closer to our living Jesus through your gift today! Help bring a living Jesus to a dying world as an Answers monthly partner. Your recurring gift will transform even more lives!